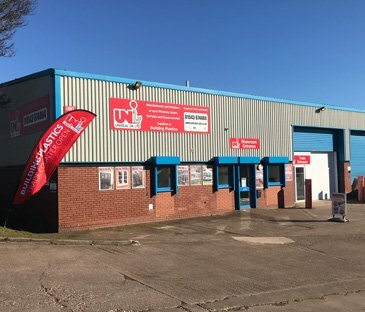 Here at Uniseal UK we specialise in manufacturing and installing/fitting a wide range of products including UPVC double glazed windows, UPVC Doors, Composite Doors, Bifold Doors, Patio Doors, Conservatories, Orangeries and Guardian Roofs. With over 10 years’ experience, we pride ourselves in providing a knowledgeable, courteous and trustworthy double-glazing service that is second to none. Based in Burntwood, Staffordshire and offer our full range of services within Burntwood, Lichfield, Walsall, Cannock, Rugeley, Stafford, Sutton Coldfield, Tamworth and surrounding areas. We pride ourselves on our levels of customer service and with continual investment into the security and weather performance of our product to which we possess PAS24 certification and hold a valid Secured By Design Licence. Uniseal’s Product complies with current CE legislation which is audited annually. 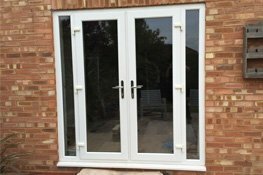 So, if your old windows and doors need replacing, replace them with Uniseal UK uPVC windows and doors which are easy to maintain, add value to your property and most importantly secure your home. 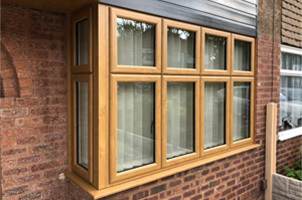 Uniseal UK offer quality affordable uPVC Double Glazed Windows, so whatever age or style of your property, the look and feel of your home can receive a real boost with our Windows. With a huge range of designs and colours we have ranges to suit everyone. Your front door gets the most use and protects you and your home on a daily basis so why not make an statement with a brand new composite door! 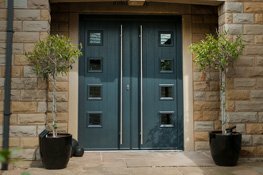 We have a large range of composite doors so whether your style is traditional or more contemporary we have a front door to suit you. Bring the outside in with our wide range of affordable conservatories, whether you looking to add value to your home or simply create more lyour living space a conservatory is a great addition. We have a wide range of colours, roof styles and door styles to choose from. Our orangeries are the perfect mix of the looks of a conservatory and an extension and create a light and airy space in your home. Here at Uniseal our Orangeries are design for you built meaning you can choose everything from the roof style to the doors. We also offer tiled conservatory roofs known as guardians roofs. This roof style means that your conservatory will be great to use all year round whatever the weather or temperature. This is a great way of warming your house during the winter and saving on those energy bills. We can't recommend this company enough, we have used Uniseal on a few occasions now and every time they have delivered an exceptional service. All the office staff are extremely helpful and the fitting teams have always been prompt, very polite and very tidy. Couldn’t have asked for a better job! We have even saved some money on bills since having our new windows and doors installed last year. Thank you! This is the second time that we have used Uniseal and they carried out a sterling job yet again. The fitters are very professional and carried out the job in a timely manner, leaving us with a very neat (and extremely warm) set of windows. They left the house as clean as it was before they started and even polished the windows before they left. I would recommend Uniseal to anybody that is looking for the ‘extra mile’ service that is somewhat lacking in businesses nowadays as we have had nothing but exceptional service from survey to installation. Super staff and service. Really happy with our new door. We were recommended Uniseal UK Ltd by a friend and we would use again or recommend to others. First class. From start to finish. Attention to detail faultless, quality of all workmanship from groundworks to completion faultless. Not at all pushy just a solid professional business. Cannot recommend highly enough. LOOKING FOR FASCIA, SOFFIT & GUTTERING?